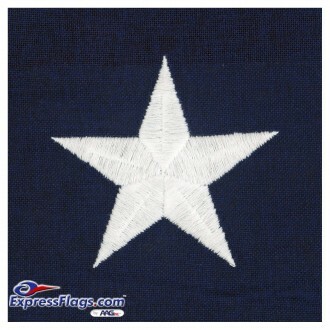 Heavyweight 2x2 ply mercerized cotton bunting designed specifically for outdoor use. 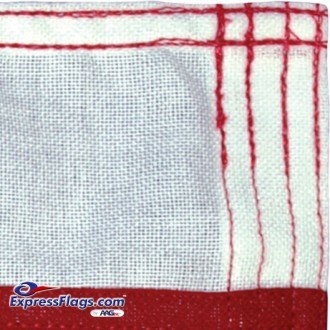 Most modern dyeing techniques ensure brilliant colors that are fast to sun and rain. Grommets: Solid brass #2 rolled rimmed with tooth washer grommets spaced evenly throughout the length of the header. 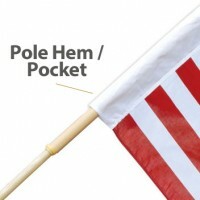 Customize your flag with Fringe and Pole Pocket (Pole Hem) for use with indoor flag stands, in parades and special events. 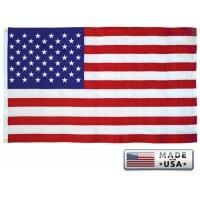 Can be added to flag sizes: 2' x 3' , 3' x 5' , 4' x 6' , 5' x 8' , 6' x 10' only. 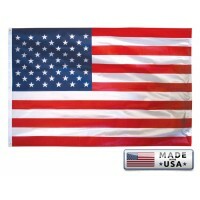 Cost of options is in addition to cost of flag. 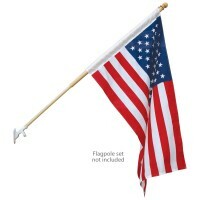 Flag must be purchased separately. Fringe not recommended for extended outdoor use. 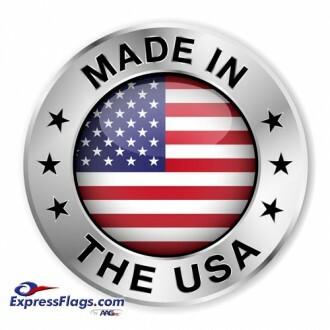 Custom options are added upon order and will require additional 2-3 business days for production prior to shipment. 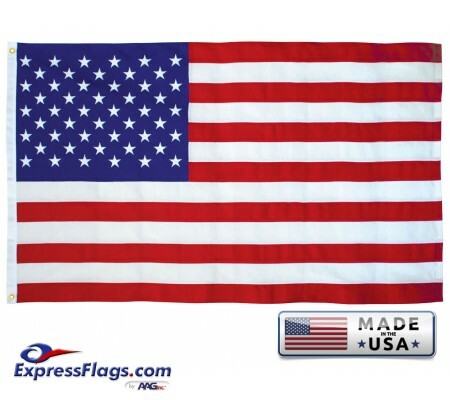 Be sure to order the same size as your flag. 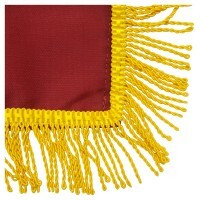 To order, see Related Products section below.